As much as I love going to the box every day and pushing myself to do well in each WOD, I have discovered that I reach new heights in every competition I join. However, I don't think it is just signing up, packing the car with chairs, food, drink and gear that does the trick. 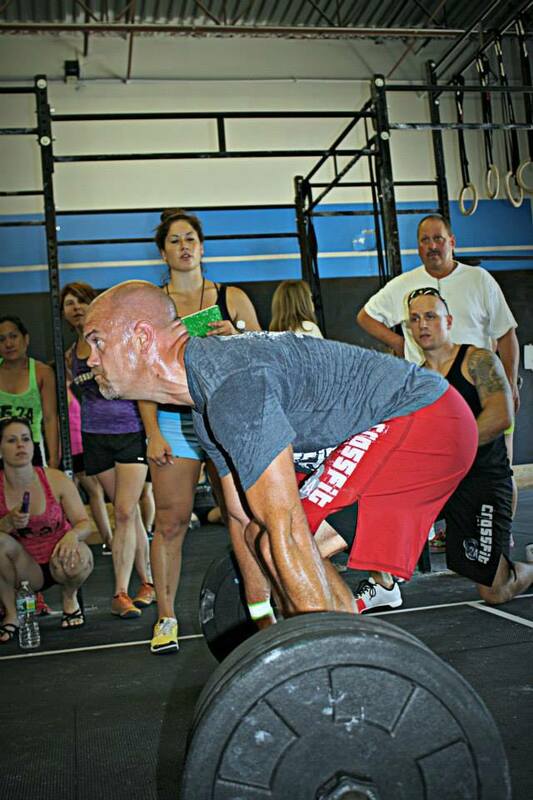 Every competition announces the workouts a week or two before the event. This creates short term goals to perform well in some specific disciplines. For the days leading up to the competition, I make sure to do a little extra during each visit to the box. If there axle bar dead lifts coming in the competition, I will make sure I get in a couple sessions with the Fat Gripz and load up with a few extra pounds to make sure the lifts are comfortable (or tolerable) come game day. If there will be rope climbs, I make sure to work on those. Unlike other days, the days leading up to the competition have focus. I will use our coaches as much as possible to get movement and efficiency tips. As the event gets to be a few days away, I look for the chance to get to an open gym and work through all the WODs that I will see in the competition. This does not mean I will do 4 full workouts in one session (I want to be prepared, not injured). Instead, I will take each WOD and create a scaled version of it to run through. I reduce the reps and/or rounds but not the weight nor the movement standards. This attempts to get my body used to the work required in each event. For the last two days before the event, I focus on food and rest. I want to make sure that I feel my best by the morning of check-in. I eat clean almost always, but I focus on getting the timing and size of each meal right. I also get some sleep. I know that my body feels the most rested after two nights of long sleep. The key for me is to make sure that the list of things to do before the competition is written and as complete as possible before I lay down for the night. The last thing I want to do is be wondering if I am ready to go when I should be asleep. When competition day starts, I figure out who will be in my heats for each workout. I size up the field and try to find one or two people that are a bit better (more fit?) than me. I need a rabbit to chase to do my best. I'm not disheartened if I don't beat the rabbit, but I want to hang with the rabbit as much as possible. In the events, my adrenalin cranks up and I get focused on the immediate task at hand. I love the sound of the host getting us in place. Meeting my judge for the workout and running through a couple reps tunes me into the job. "3-2-1 Go" and the crowd starts yelling for us to "pick it up!" "keep moving!" "pull! push! jump!" and everything else. I have PR'ed in something for every competition I have joined so far. I used to think that the event itself brought out the best, but I can see now that it is the combination of setting goals, preparation, focus, diet, rest, adrenalin and cheering that makes it happen. I believe that repeating this pattern will keep pushing me to improve bit by bit in this sport. So, for me, the future looks like AMRAP Competitions.